Symbolism is a wonderful creative element which allows us to express what matters most to us without crossing our own comfortable boundaries. It can provide a safe conduit to work through our thoughts and experience. 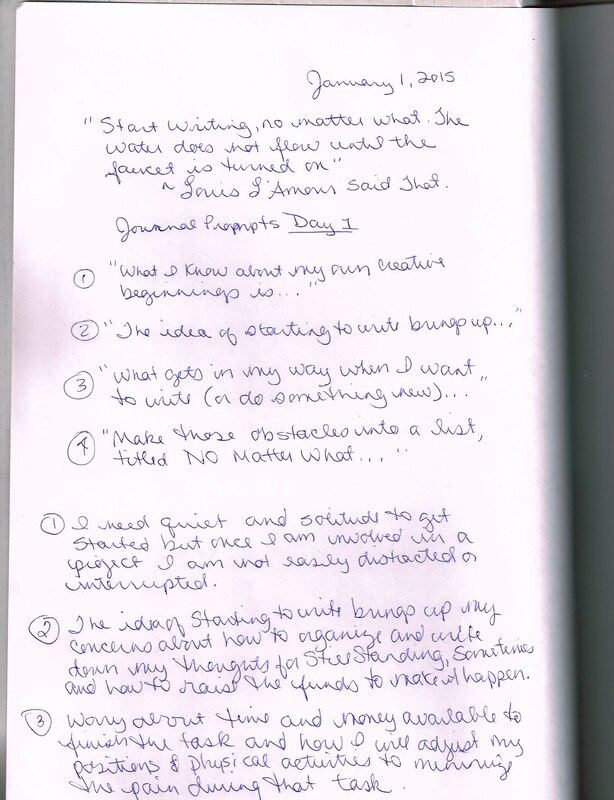 Create ONE symbol to represent ONE of the concepts, ideas, or obstacles that you included in your response to Lisa’s journal prompts for Day 1,2 or 3. 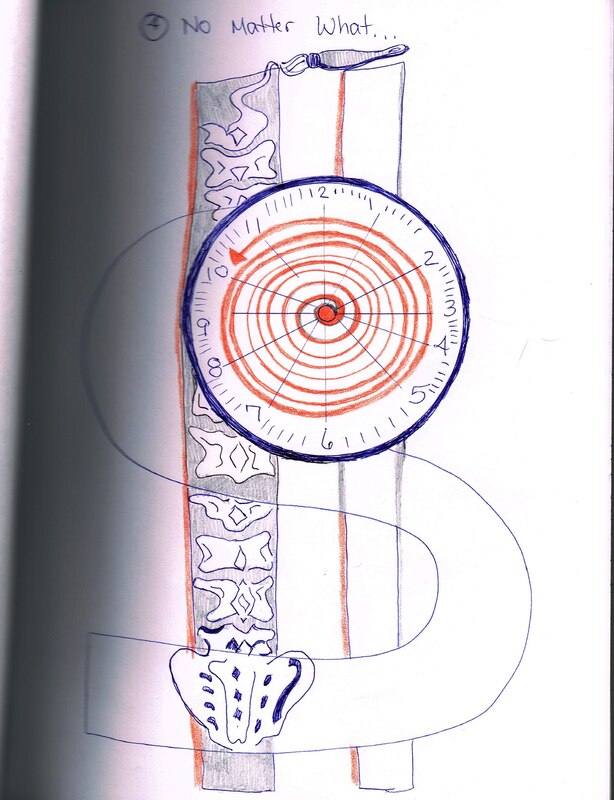 You can draw or paste these directly into your journal or create them on any other surface of any materials that suit your needs. The majority of my journal entry will remain personal and private. There will be limitations to how much I want to share publicly. However, for the sake of providing an example for this activity, I have included my notes from my thought process from the Day 1 prompts. Keep Us Online. Donate Now. Together We Fight to Change Tomorrow. Frame #4 from the paper sculpture series, Still Standing. © Sheila L. Kalkbrenner and Art For Arachnoiditis Project at SheilaLynnK Art Studio~ All content here is protected under the Digital Mellenium Copy Right Act. Unless otherwise noted, all written works and images are the intellectual property of Sheila L. Kalkbrenner and the Art For Arachnoiditis Project. Unauthorized use and/or duplication of this material without express and written permission from this blog’s author and/or owner is strictly prohibited. Excerpts and links may be used, provided that full and clear credit is given to this owner with appropriate and specific direction to the original content.